For those unfamiliar with him, Rory comes off as five feet ten inches of serious business. His standard demeanor is standoffish and reserved; some would even call him a bit of a stick-in-the-mud, given how hard it is to get anything more than a perfunctory smile out of him, but his affect warms noticeably among people he trusts or a topic of interest comes up. As a fighter he's lean-built with a runner's physique, though you'd hardly notice it with the multiple layers he tends to wear -- he comes off more as a bookish shut-in than a warrior-in-training, which isn't entirely wrong. 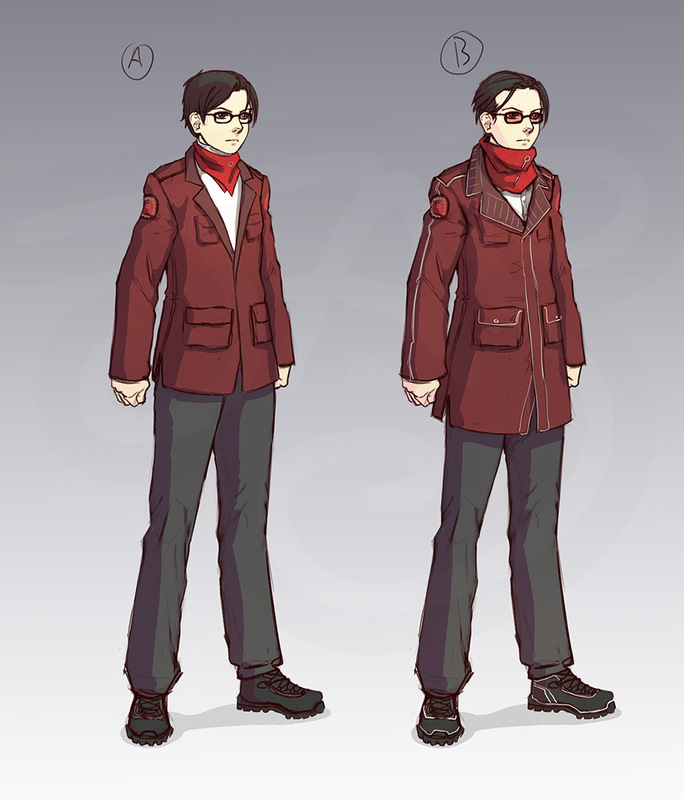 His standard attire is usually in shades of dark red and stark white, sporting black or dark gray as minor notes. The most distinctive elements of Rory's standard ensemble are a crimson jacket with his personal emblem stitched onto the upper arms and a similarly hued bandana worn around his neck with a small ornamental pin attached to it, as well as a set of simple rectangular black-framed glasses. Notably, anytime he's out in public he wears the bandana, a turtleneck, or both -- his neck is always covered up when he's around other people. Dark gray pants and black high-traction shoes round out his look, giving him an appearance somewhere between an honor school student and a military recruit. When battle is joined Rory swaps out his glasses for a pair of high-tech goggles, as well as donning a pair of black leather combat gloves and his vambraces. The goggles have some limited computing functions and run much of the same software as a Scroll, allowing Rory to make calls, access map data, take pictures and video, and access public data on the CCT -- as long as he can get a signal connection, at least. 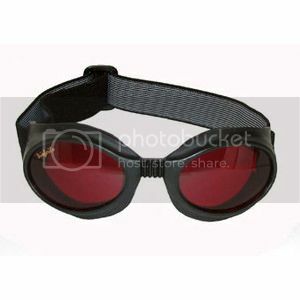 Even without a connection, however, the goggles have a few stand-alone functions: the built-in camera has infrared and night vision modes as well as 65x digital zoom, making it very useful for scouting out beyond the kingdoms' borders. These goggles are far from "do nothing". He could never have afforded such gear himself -- they were a gift from his employer / landlord upon his acceptance to Beacon, a prized possession he takes great care to protect. Rory is not the type to share his past with people 'just because'. Much of the following information isn't known even by Beacon Academy or his employer. If you would rather avoid having this knowledge color your perspective of him, do not open the spoiler below. Family. Family is supposed to be what's always there for you. People you can trust. A place to feel safe. One sure, certain thing in an uncertain world. 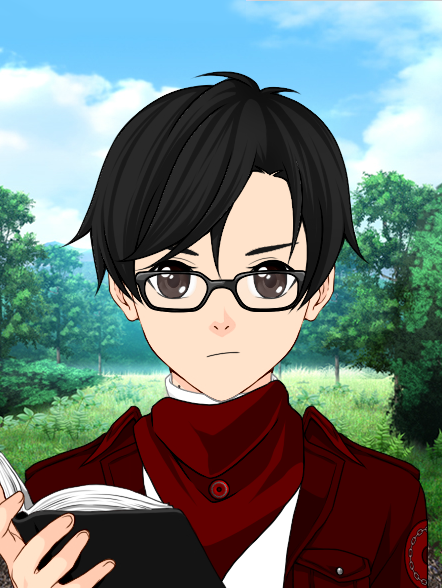 Rory Vogel was born the oldest child in a small traditional family living in a village far south of the Kingdom of Vale. From the outside you'd never guess that anything was wrong -- everyone in the community thought well of the mother and father, they were well enough respected and never caused any trouble... in public. The truth, however, wore darker shades. From very early on the mother's desire to preserve outward appearances, to be seen as a steadfast success as mother, wife, and advocate of the communal good led certain decisions to be made. Money came and went much too quickly. She was ashamed that their house, which she had chosen herself, wasn't living up to her expectations. Maybe she always had the seeds of disorder in her, the compulsion to control and direct, the deep-rooted need to be seen a certain way no matter the cost, or perhaps it was something that came with time. In all truth, it scarcely matters: however it began, it grew in time... and by the time their last child, a daughter, was born, a true madness seethed within the woman. As the years wore on and she felt herself slipping steadily further from her ideal her desperation grew... and it was her children who paid the price. She would tell you she never laid a finger on the boy. She would blame his defiance and his willfulness for her desire to cast him out. She had all manner of rationale. He was wrong. He didn't know what he was talking about. He, not her, was tearing her "perfect" family apart. Why couldn't he just obey, submit? Why did he REFUSE to let his mother tell him what was and wasn't so?? HOW DARE HE SAY SHE BETRAYED HIM?! There are some things in life that you never recover from, no matter how far away you run or how long you wait for your heart to mend. Some wounds go beyond the physical; to say that someone "stabbed you in the back" isn't just a turn of phrase, after all. When trust is broken, when threats are made by people who hold your life in their hands, when loved ones make you choose between absolute, unquestioning obedience and the end of your life as you've know it, a kind of living death settles onto your shoulders. There is no worse feeling in the world than being powerless against a force you cannot reason with or escape from, that knows you intimately and won't hesitate to exploit your every vulnerability and uncertainty... that kind of entrapment, that kind of purgatory, never truly leaves a person. And so you bow your head. You submit to every unreasonable demand. You cry yourself to sleep until the tears don't come anymore. And you wait. You watch. You prepare. And at the first good opportunity you fly like a bird on the wing! Somewhere, anywhere -- it scarcely matters. Anywhere but here. You swear you'll never, ever go back. Never let them finish what they started, never again be their victim. They killed you, after a fashion -- you can never be that person again, and so much of what you were before is too painful to even consider. So you build a new life, and new self, as you go... and swear you'll never let anyone hurt you like that again. Thus began the story of a broken boy facing the world... a vow, to be strong enough to never suffer again, and an uncertain path forwards. Not someone quick to open up to others, Rory can seem aloof or even dismissive on first encounter... the truth, however, is that once you've won his trust he will be your most ardent defender, willing to face down hell or high water for the people he cares about. The problem is getting there; having been badly hurt in the past he isn't hugely eager to engage emotionally with others for fear of making himself vulnerable again. This leads to him being fairly introverted and antisocial with his free time -- he would far sooner spend his spare hours outside of class and work with his nose in a book of history, mythology, or simple stories than go to parties or anything involving large groups. Still, that's not to say he can't be convinced... just, not easily. A young man of intellectual passions, Rory is deeply fascinated by the frayed and fragmented past of the nations and settlements of Remnant. He's full of theories and notions about what may have been lost to the Grimm over the ages, many of which he's pieced together himself from a combination of source materials and folklore. This, in no small measure, drives his interest in archaeology -- the young man's life ambition is to dig up the secrets and treasures of Remnant's past, with the knowledge of how dangerous such expeditions can be leading him towards the skills of a Huntsman. After all, its no good finding ruins of the past if you're overrun by Grimm, and one can reason that discovering what's been lost can be as critical to humanity's future as defending what it has now. At least, that's Rory's take on such matters. He's also taken it on himself to develop a nigh-encyclopedic knowledge of the creatures of Grimm and their weak points, proving the old adage of knowledge being power in a very practical way. Rory has an... unusual arrangement in the City of Vale. Having come to the city several years before he was old enough to enroll, he managed to secure a job with a small local bakery and eventually got permission to live out of a small space in the attic. As you might image, the arrangement is... less than orthodox, and of questionable legality. Despite that, Rory approaches his living arrangements with the same stubborn stoicism that has carried him this far: the "loft", as he likes to call it, is immaculately kept and orderly. Second-hand furniture occupies what space can be spared, a small dresser and writing desk arranged to create a privacy wall for the bedroll on the bare wood-slats floor. Rory's first attempt at a vambrace-shield adorns the opposite wall, though "adorn" may be being a bit too generous -- it's patently clear that this prototype for his current weapons was assembled mostly from second-hand parts and salvaged scrap. Still, it has... sentimental value. Fortunately there's just barely enough headroom for an average person to walk around... as long as they stick to walking only in the middle of the attic where the roof peaks. Two small windows, one on each end of the room, let light and air in when the ladder-door is pulled up. The baker, one kindly and aging Mr. Chadwick, lives on the floor below where the bathroom and shower is located, with the bakery proper below that on the ground floor. It's... snug, but workable. The bakery itself is an interesting place: 'Fabled Goods' certainly has a pretentious name for a small-time shop set among row houses, but a handful of local patrons will swear to the impressive quality of their baked-fresh croissants, muffins, and pretzel twists. The coffee... not so much; despite Mr. Chadwick's best efforts the bakery has always come up short in its hunt for a talented barista, resulting in lackluster cups of joe. Fortunately, the rest of the offerings tend to make up for it: the store has a small kitchen in the back which lets them do full service breakfast and lunch, turning their delicious breads into sandwiches, edible soup bowls, and more. The clientele is mostly city locals -- 'Fabled Goods' isn't exactly famous or highly advertised, but Mr. Chadwick and his crew take a certain pride in "doing something small with excellence", such that it's a refrain commonly echoing around the bakery. Quality over quantity is certainly the order of the day. Get up at 4am. Do it all over again. Welcome to Beacon. While all hopeful Huntsmen and Huntresses to be train to strengthen and master their Auras, some make an strong focus out of it. The simple truth is that Rory has never been much of a fighter, so when strength from muscles failed him he turned inward for a different kind of strength. As a child he studiously worked his way through books of teachings both ancient and modern on how to draw out one's Aura, growing ever more desperate not to see himself as helpless, powerless, trapped. Unsurprisingly, when his crimson-hued Aura awoke it had a significant protective bent -- quick to guard, slow to strike. It... wasn't what Rory had hoped for, to put it mildly, but it was all he had to work with. Over his formative years Rory has honed his gifts, gaining a handful of advantages in the process. His experience using Aura defensively means that even though most opponents could probably toss him about like a rag doll he can recover quickly and isn't easily hurt... so long as he isn't hit too hard, at least, or struck without warning. This makes surprise attacks and high-speed attacks among his greatest vulnerabilities. Additionally, Rory has some limited ability to channel his Aura into a physical strike, unleashing a small point-blank burst of moderately powerful energy that does precision damage to whatever he's touching in that instant. This isn't something he does often, however, and definitely can't do in succession as an offensive Aura burst leaves him winded and his defensive Aura weakened for no less than thirty seconds afterwards. Rory has been known to refer to this as his "desperation move", and not without good reason. The Aegis Dome is something of a last resort -- as a defensive Aura technique it's nothing short of impressive, but it comes with serious downsides. When Rory unleashes his Semblance a dome of crimson energy crackling with white electricity forms, creating a solid barrier with a ten foot radius. The barrier can withstand a fairly extreme amount of punishment and last up to five minutes (as long as Rory hasn't overtaxed his Aura before using it). As long as they're close enough when the Semblance is used a small group of people can easily shelter inside the Dome... of course, this means that it's worthless for defending against an attacker who's already at close range. Another downside is that Rory physically cannot move his body while using his Semblance. Maintaining the barrier requires ALL of his effort and concentration -- it's difficult for him even to speak while holding an Aegis Dome together, forget about moving his arms and legs. And when the Dome goes down, regardless of if he's held it for an instant or as long as he can, Rory's Aura is completely exhausted -- the price one pays for "ultimate defense". Another downside of the barrier is that it's two-way -- allies can't fire from inside it, limiting its usefulness as a tactical anchor point. On the plus side, however, anyone or anything that touches the outside of the Dome will get a nasty shock from the surface energies. The Dome can be a half-dome "bubble" or a full-dome "orb", but going for a full dome cuts the maximum time down to one minute. Rory believes it should be possible for him to eventually get greater control of his Semblance, enough to form it as a quarter-dome that allies can duck behind and out from at will and maybe even avoid Aura depletion... but those skills are still a ways off, to say the least. 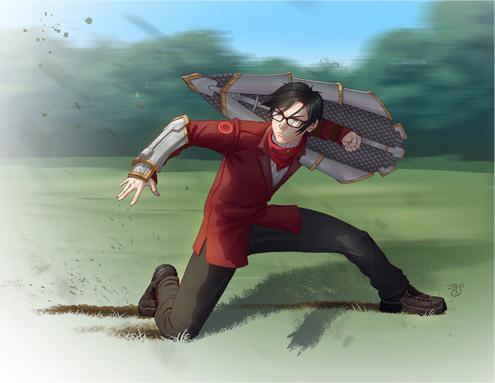 Combat Behavior: Rory's approach to combat is to adopt a defensive and supporting role, using his vambraces and Aura talents to cover for his teammates. When fighting solo he adopts a more evasive approach, doing his best to avoid his opponents and wear them down until there's a good opportunity to counterattack. His strong point is in his legs -- he can throw a pretty decent kick, but more importantly he's built up the lower body strength needed to assume a solid defensive stance, letting him absorb impacts without easily stumbling back (doubly so when crouched or braced against something). This also means he tends to be fairly fast and nimble, making Rory good at getting out of the way of oncoming attacks... or, getting in the way of them to guard a teammate under fire. He's a decent hand with his shields, but still somewhat inexperienced -- he understands the theory of shield-fighting but hasn't yet really gotten the feel for it that would put him at the top of his game. Time and adventure (not to mention being trained by the most dangerous baker in all of Vale) may yet see that change, but for now his shield use tends to be reasonably basic and straightforwards. Not having much in the way of means after arriving in the city, Rory always knew that getting himself a half-decent weapon -- let alone one that he could use effectively, was going to be a challenge. He tried a few different things over the years while saving up what he could, but nothing really clicked. As it turned out, it wasn't so much a matter of skill as essence -- his defensive-natured Aura just didn't flow readily into offensive weapons, a realization that came to him in frustration six months before he was set to enter Beacon. The natural solution, he realized, was to fight in accord with his Aura. Only one weapon could let him do that: a shield. 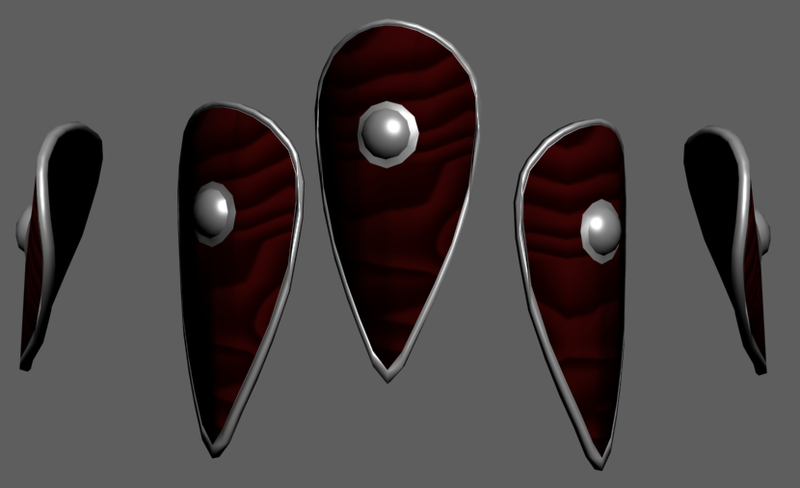 Fortunately, the market for weapons and weapon parts mostly considered shields as secondary wares, thus the parts required weren't horrifically expensive. But a simple slab of metal with hand grips wasn't going to cut it on its own, not in a place like Beacon Academy. It took a small loan and numerous scavenging trips to Vale's less-than-illustrious junkyards to assemble the necessary parts, and a favor from a friend of Mr. Chadwick who had a workshop to bring everything together, but at last Rory was able to bring his design to life. The first prototype was, admittedly, less than stellar... but a learning experience, to be sure. A lot of complicated parts, as it turned out, could be stripped out and streamlined using easily-replaced small panels in a "dragon scale" arrangement, reinforced by miniaturized hydraulics. A second loan, this one a bit bigger than the first, saw the acquisition of industrial-grade parts -- standardized, efficient, and replaceable if necessary. Version two was an immense improvement over the first attempt (which Rory came to semi-affectionately call his "rust-punk" shield). The upgraded vambrace-shield was even more effective when paired with a twin, which the young Huntsman-to-be barely managed to complete in time for his second day of classes. He's tinkered with the design ever since, tweaking things here and there. The current model sports additional armor layers in vambrace form which split and expand to form a sturdy framework for the scalemail-style plates when the shields are engaged -- resilient, reliable, and with a hint of gold trim that one could even call 'dashing'. The primary form of these "weapons" are simply armored vambraces, affording Rory quality protection and defense on his forearms. This is the compressed form of what are basically arm-mounted shields -- while more agile and precise in this state the vambraces offer far less overall protection, especially against ranged attacks. In this form the vambraces measure roughly one foot long by five inches wide, tapering slightly towards the wrist. When activated, compartments in the sides of each vambrace open and a series of miniaturized panels unfold and connect to each other, quickly taking the shape of a gunmetal-hued kite shield trimmed with silver-steel and faux-gold accents and bearing Rory's symbol in simple light-gray relief at the center. The vambrace-shields measure a full three feet long by one foot wide, curved and tapered in design to deflect blows and projectiles away as best as possible instead of simply absorbing force of impact on their surface. Being composed of so many interlocking plates also lends the shields a small degree of flexibility, further improving its ability to absorb and redirect forces directed against it. Not a full review I just thought I'd mention it quickly before the actual character review starts that the mods aren't generally for having semblance-like abilities, healing, tagged on as just something the character can do with their aura. Now I get that because Rory's semblance is a bit more last graspy than most he has less options but I'd fill that with tech or dust rather than another semi-semblance. This character is incredibly detailed though and I don't mean to take away from that. It's really the only thing I can see which is 'wrong' here, except for formatting stuff like history at the end and having weakness scattered all through out the profile rather than just in Combat Behaviour, I just want to get this guy shot through reviewing as fast as possible. Vision said it before but welcome to the board, look forward to seeing what you do with him after such an impressive start. Thanks for the feedback -- I was wondering if I'd given a bit too much ability-wise to make up for the lack of combat prowess, so it's good to have someone with a feel for the local power balance give their take. 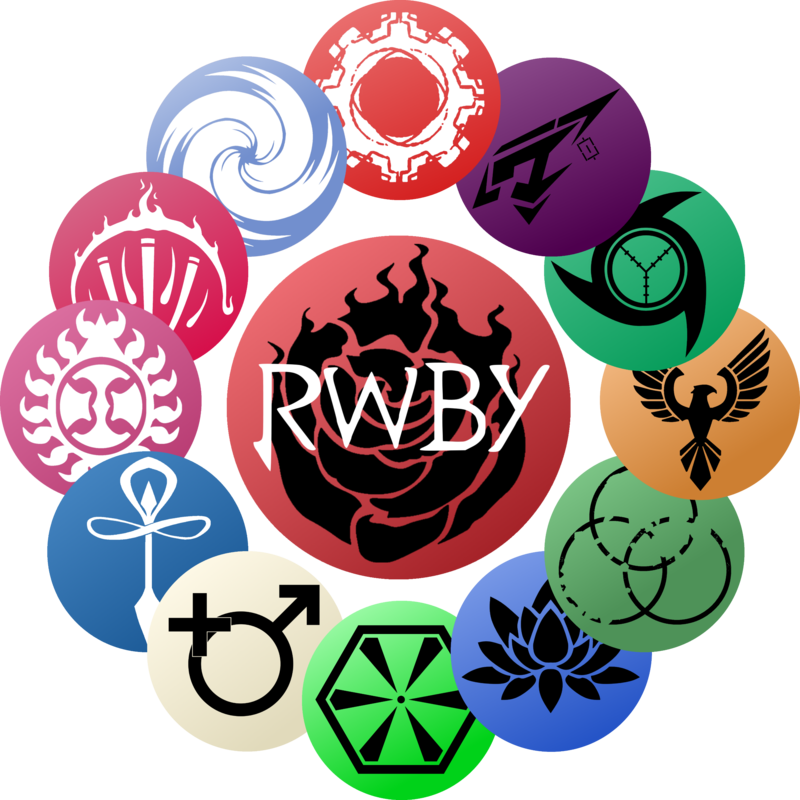 I'll go ahead and nix the aura-healing and add some additional color-coding for the scattered-about strengths and weaknesses, just to save the mods some time as they work through this ol' wall o' text. Thanks! Alright so this is certainly one of the better written profiles we've seen come from a new member, but there's a few, mostly menial, things that needs to be changed. First off, the entire profile being centered isn't breaking any rules, but I would prefer it not be centered, mostly because every other profile is just default. That said, it's not required and ultimately up to you. History needs to be between appearance and personality to provide a better flow of "Here's what's happened to him and here's how acts because of that." For history itself, you need to provide some combat background. It doesn't have to be formal at signal or anything, but not just anyone can get into a combat academy. Could be as simple as making the baker a former hunter, if you want. Needs some additional detailing in combat behavior. Maybe check some approved characters to get a general idea of what it should look like. Just need a history on the weapons, even if it's just "He made it in his off time." there needs to be something. There we go, all requested edits made. Also added in a bit about the bakery and some creepy-text for the poetry reference. Let me know if anything else needs more detail or fleshing out, and thanks for the compliment on my writing! When activated, compartments in the sides of each vambrace open and a series of miniaturized panels unfold and connect to each other, quickly taking the shape of a gunmetal-hued kite shield trimmed with red accents and bearing Rory's symbol at the center. The vambrace-shields measure a full three feet long by one foot wide, curved and tapered in design to deflect blows and projectiles away as best as possible instead of simply absorbing force of impact on their surface. 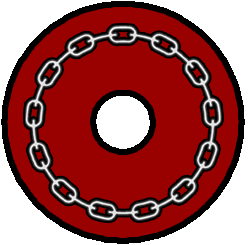 Being composed of so many interlocking plates also lends the shields a small degree of flexibility, further improving its ability to absorb and redirect forces directed against it. 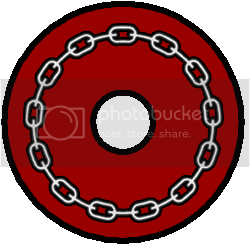 Edit complete: Image URLs fixed. Added additional character art ( and ). He's tinkered with the design ever since, tweaking things here and there. The current model sports additional armor layers in vambrace form which split and expand to form a sturdy framework for the scalemail-style plates when the shields are engaged -- resilient, reliable, and with a hint of gold trim that one could even call 'dashing'.